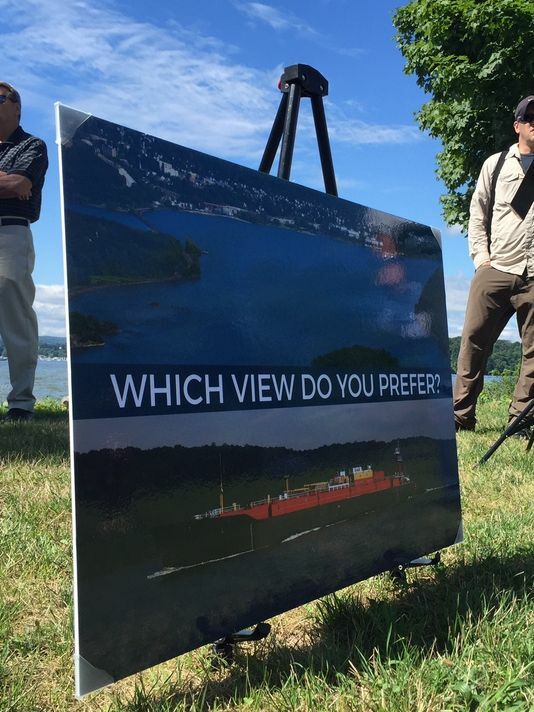 lohud.com: Wednesday’s unofficial hearing on the Hudson River anchorage proposal will have representation from both sides of the issue, but will be missing one key player. The Coast Guard, which, on behalf of the commercial shipping industry, is proposing the 10 anchorage fields in the Hudson River where vessels could “park,” does not expect to send a representative to the event, organized by Republican state Sens. Terrence Murphy and Sue Serino. “We do not intend on attending any public hearings,” said Coast Guard Chief Warrant Officer Allyson Conroy. “Right now it’s very, very early in the process. We’re in the early phase of … rule making.” Read more.